The update, 13.0.3, is being pushed out through Adobe's Creative Cloud service. "Fixed issues with Premiere Pro that reduce noise interaction and help minimize possible impact," release notes say. People impacted by the bug would suddenly hear loud and distorted audio, often when they were working on a video's soundtrack. Though the company suggested disabling mic input as a possible workaround, at least some users continued to encounter trouble -- potentially at high expense. Adobe alerted customers to an impending update earlier this week, saying that it was "aware" of the bug and "working on a solution that will help users mitigate risk." The company hasn't indicated, however, if it will be willing to compensate people with damaged MacBooks, whether they've already paid for repairs or not. Late last year Adobe was hit with a $5 million lawsuit from a Premiere Pro user whose video library was wiped when he simply wanted to clear his cache. Honestly Professionals who got their Macbook speakers blown need to sue Adobe. What sort of service is this. If this doesnt encourage you to adopt FCPX ,nothing will. 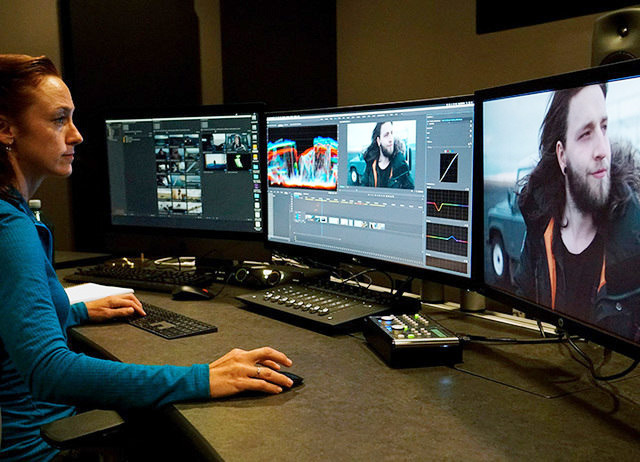 FCPX is certainly a solid option at this point, but Premiere Pro is such a standard that even diehard Apple fans may be unwilling to relearn their editing skills. Shouldn't there be an OS or even SMC/firmware level protection for the speakers? I say this is primarily Apples fault. The amplifier circuitry that drives the speakers should have had some sort of protection built in to limit the maximum amount of power that could be sent to the speakers. From a liability standpoint this is my so easy. While without a doubt a good idea, nothing requires such a protection mechanism from Apple. Therefore, you can argue that the damage it is the consequence of a defect of Adobe’s software which makes them liable. However, I’m not sure what the fine print of the EULA says. I’d be surprised if they wouldn’t have some CYA passages in it to this effect. Undoubtly, as a token of excellent customer service, Apple and Adobe might - separately or jointly - nite the bullet and comepansate affected users. Then Apple would get sued for throttling the audio. I am half joking. Nothing userland software does on a computer should ever cause physical damage to it. If for example - under normal ambient temperature - one was running the CPU flat out and it proceeded to burn out, is that your fault or Apple's for not implementing thermal protections? It is standard practice in the electronics industry to put protections in place for any component that could possibly be damaged by some unforeseen issue. We have current and temperature protections for lithium batteries/charging circuits, current limiting for LED lights, thermal throttling for processors and so on. Apple is usually on top of things, but this time they made a mistake. Well, nothing as long as the product is used as intended. If you let your hair dryer run for hours and hours until the thermal fuse (which is in cheaper models not reversible nor replaceable) goes bing and the dryer stops functioning - whose fault is it? It all comes down to the design which is based on intended use and conditions. i don’t think you’d have any luck suing the computer manufacturer for killing your drives in this - though entertaining - way. While I’m aware about the standard practice, I don’t k ow regarding this specific case. What’s state of the art regarding speakers? Do others manufacturers protect them against overload? Or can you kill any speaker with the “right” input? You can kill any speaker with the incorrect input. Too much power, impedance mismatch etc. can both lead to blown speakers. I have personally never seen a speaker than is built to prevent such a thing on the input side. I have seen “circuit breakers “ that trip but only for the power supply if they are powered speakers. The wrong audio input will still destroy even the best studio speaker and its common that engineers who listen to their tracks at high volume eventually blow out their speakers. So you don’t even have to go that wild to create a failure and it totally effects too end speakers. The thermal fuse should never blow unless there's a problem, no matter how long it's on, some people take 15 minutes or more to dry their hair! Your example is a bit out of the realms of "userland," you can't make a computer access a floppy disk in quite the way you can with a specially crafted signal from an Arduino... Though it is amusing! Integrated units such as Bluetooth speakers, the HomePod, iPhone speaker etc are pretty much always protected from damage by limiting the amplifier output, or simply having an amplifier that is a lower wattage than the maximum the speakers can handle. Units that aren't integrated such as old 1990s Hi-Fis or discreet amplifiers tend not to be limited as it's not known what speakers you would use with them. This was obviously an oversight by Apple, they put an amplifier in the Mac which was more powerful than the speakers could handle, and they didn't limit its output in either hardware or software. There is also DaVinci Resolve which is free, so there are options for people. It's free if you don't need the advanced features. It is a nice application, reminiscent of FCPro 7 to me. The thing is you can damage speakers simply with a wave form that is highly distorted or requires the speakers to respond very rapidly to changes in velocity, even without it being very loud. From the description of the output from Premiere that seems more like the case here: you can’t easily put in a hardware protection for that. NOT where consumer audio is concerned, even in high-end audio gear. You could probably count on one hand the number of audio manufacturers among the hundreds who employ clipping protection in electronics or speakers, powered or passive. Such protection is atypical. This is not Apple's problem. Trying to make it so is like saying car manufacturers' fault for not protecting drivers and passengers involved train crashes. [...] Integrated units such as Bluetooth speakers, the HomePod, iPhone speaker etc are pretty much always protected from damage by limiting the amplifier output, or simply having an amplifier that is a lower wattage than the maximum the speakers can handle. Units that aren't integrated such as old 1990s Hi-Fis or discreet amplifiers tend not to be limited as it's not known what speakers you would use with them. While it's certainly possible to blow a speaker by overpowering it, the vast majority of speaker failures are caused by inadequate amplifiers. Pushing an amp to its limit causes clipping, which is a distortion of the waveform that makes it resemble a square wave. That can destroy a transducer even when delivered at less than the speaker's rated power handling. On the other hand, most speakers can handle more than their rated power when it's only in short bursts. Thus a few moments of too much power is generally less likely to damage a speaker than running an amp too hard for a more prolonged period. That means a power limiting circuit will not prevent the most common form of speaker failure. In the '90s there was a running joke about how a fast acting tweeter will protect the fuse every time. That's because what caused the tweeter to fail was not overpowering, so the fuse was pointless. What's happening in the Premiere case is probably a full-scale square wave. The actual culprit is the square wave, not the amount of power per se, but by delivering that square wave at full power the failure is accelerated. That's why, despite the Premiere issue, I don't want a power-limiting circuit in my audio path. I want the amp to pass transients unaffected, rather than "pumping" the volume on every harmless short-term peak. Since a limiter circuit wouldn't do much good anyway, the trade-off in intrusive, audible effects isn't worth it.